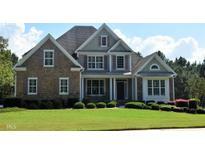 Find Tyrone, GA Homes for sale. View Photos, Maps and MLS Data Now! Berry Hill - Large Covered Back Porch With French Doors To The Family Room. Stunning! MLS#8569906. Re/Max Legacy. Lake Windsong - Clean And Open Floor Plan-Must See! ! MLS#8568829. A.K. Neal Realty. Beautiful Screened Porch Overlooks The Pond Area And Manicured Back Yard. You Must See This One! MLS#8569101. Berkshire Hathaway Homeservices Georgia Properties. Southampton - 3 Car Garage & Fayette County Schools. This House Has It All! MLS#8566843. Century 21 Meridian Realty. Carrowmore - Full, Finished Basement With 3 Bedrooms, 2 Full Bathroom, Large Bonus Room, Spacious Closets, Full Kitchen, Second Laundry Room, Living Room, And Terrace Level Patio Entrance.Swim/Tennis MLS#8566704. Keller Williams Rlty Atl. Part. Winfair - Easy Access To Peachtree City, Pinewood Studios And Atlanta From This Location. MLS#8565903. Berkshire Hathaway Homeservices Georgia Properties. Minutes From I-85, Hartsfield, Shopping, And Pinewood! MLS#8565250. Southern Classic Realtors. This Home Is A Must See! MLS#8564677. Visionaire Realty Llc. Tullamore - Fall In Love W/ The Designer Light Fixtures & This Absolutely Gorgeous Home! MLS#8562411. Berkshire Hathaway Homeservices Georgia Properties. Gaelic Glen - The Upstairs Features 2 Bonus Rooms And 2 Additional Bedrooms And A Hall Bathroom. MLS#8562767. Keller Williams Rlty Atl. Part. Castle Lake - Open Every Sunday 2-4Pm Til It Sells! MLS#8557812. Keller Williams Rlty Atl. Part. Southampton - Terrific Two Story On A Finished Basement - Brick Front, Inviting Foyer With Hardwood Flooring, Formal Living Room, Formal Dining Room, Spacious Family Room With Wall Of Windows & Built-In Bookshelves, Open Floor Plan To Bright Kitchen With Breakfast Bar*Breakfast Area*Solid Surface Counters*Tile Back-Splash*Walk-In Pantry* Guest Room On Main With Full Bathroom, Huge Master Bedroom Upstairs With Master Bathroom Offering His & Her Vanities*Separate Shower*Jacuzzi Tub*Additional Room Off Master*His & Her Closets, Secondary Bedroom With Private Bathroom, Third & Fourth Bedroom Offer Jack And Jill Bathroom, Lower Level Offers Office/Bedroom/Full Bathroom/Exercise Room/Family Room. And Much More! MLS#8557421. Berkshire Hathaway Homeservices Georgia Properties. Southampton - Home Also Features A Full Daylight Terrace, 3 Car Garage And Is Located On One Of The Largest Homesites In The Neighborhood. MLS#8556121. Andrew Joiner Realtors. The House Has Been Freshly Painted Inside & Out Along With A New Architectural Shingle Roof! MLS#8552596. Jan Trammell Real Estate. Gaelic Glen - Priced To Sell Won'T Last Long. MLS#8553237. Ritzberg Realty International. The Finished Terrace Level Has 2 Bedroom, One Full Bath, Another Office, A Large Rec Room W/ Endless Possibilities..And Don'T Forget The Pool! MLS#8550461. Keller Williams Rlty Atl. Part. We Are Building A Great Neighborhood ! Only 8 Lots Left ! ! MLS#8550135. Berkshire Hathaway Homeservices Georgia Properties. Carrowmore - 2 Car Garage And Oversized Driveway With Ample Parking. Storage/Out Building. Swim/Tennis Community. MLS#8549247. Keller Williams Rlty Atl. Part. Make Sure You See This One In A Terrific Fayette County Location! MLS#8548537. Keller Williams Rlty Atl. Part. 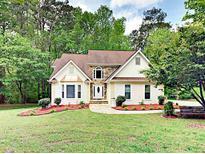 9 Miles To Pinewood Studios, 20 Minutes To Airport And 35 To Downtown Atlanta. MLS#8549122. Bush Real Estate Group. Millbrook Village - Great Floor Plan With A Private Backyard! It Won'T Last Long! MLS#8548199. Keller Williams Rlty Atl. Part. South Fork - Seller Offering $2,000 Towards Boards/Areas On Deck Needing Repairs. MLS#8547218. Berkshire Hathaway Homeservices Georgia Properties. Cathy Estates - Come Enjoy A Relaxing Home In The Heart Of Everything Fayette County Has To Offer! MLS#8544674. Keller Williams Rlty Atl. Part. Private Hoa Club Is Just Through The Woods ! Swim/Tennis/Playground ! MLS#8544765. Berkshire Hathaway Homeservices Georgia Properties. Swanson Valley - Great Home! Call To See Today. MLS#8542220. Bhgre Metro Brokers. These statistics are updated daily from the Georgia Multiple Listing Service. For further analysis or to obtain statistics not shown below please call EasyStreet Realty at 404-998-4170 and speak with one of our real estate consultants.